Hygge (pronounced hoo-gah) is defined as a certain quality of cosiness and comfortable living that promotes a feeling of contentment and well-being. The concept comes from Denmark and has now become a worldwide practice. There are no strict rules but there are a few guidelines that are essential to abide by if you want to get your hygge on, so grab a cup of tea and let’s begin to explore this wonderfully unique yet practical way of living. To start with a quick history lesson, hygge isn’t some modern idea invented by millennials, it’s actually been around for quite some time in Denmark, with the phrase first appearing in the 18th century. To Danish culture, hygge is a way of life and a necessity. Although there is no direct translation into English it is believed it means ‘cosiness’ and a general sense of well being from being cosy. The most important aspect of this way of life is creating an atmosphere in your home. This is easy to do whether you still live with your family, in an apartment with friends or in a shared house. Rather than stressing yourself out over a whole interior makeover, focus on your bedroom as the first space to implement your new chilled way of life. Hygge essentials are things like furry throws, plants, candles and fluffy socks, but before you run to Penneys with your shopping list, there is something even more important you need to do: de-clutter. If your space is cluttered with dirty washing and endless junk you’ve hoarded over the years it is time for a clear out, and this goes for your clothes too. If you haven’t worn it in a year, give it to a charity shop and someone out there could absolutely adore it. Pick up a cheap laundry basket to store washing in and throw out useless things like old notebooks and stuff you don’t use. If you have sentimental items it’s worth investing in some pretty storage so you can still hang on to all those concert tickets and diaries but at least they’re out of sight. Now that you have a fresh canvas to work with, it’s time to start making the place a lot cosier. The number one way to do this is with lighting, hanging fairy lights over your bed or having them scattered over the back of a table will give the prettiest feel and will completely chill you out while you snuggle up after a long day in college. Candles in all different shapes and sizes are also a great way to create a dreamy glow, however always remember to keep them in a safe place and never leave them unattended (it’s not very hygge to cause a fire). One aspect of this Danish way of life that we Irish already love is the emphasis on hot drinks, so get yourself a big cup of tea or hot chocolate next time you sit down with your furry throw and with each sip let all your worries drift away. The addition of plants to your space also has a very calming effect so pick up a bunch of daffodils and pop them in an old jar for a quick fix or invest in a little faux plant if you live in a small apartment and want to give it a boost. Penneys and Dunnes have a great range of these in at the moment and they’re also super cheap. 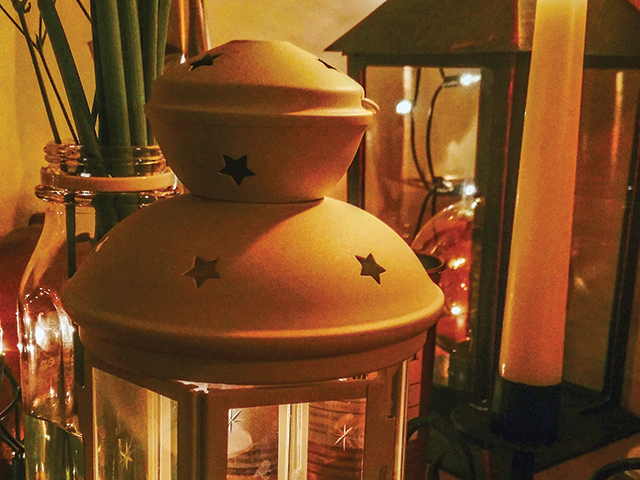 Now that we’ve got our personal spaces sorted it’s also worth mentioning that there are many layers to hygge and it isn’t all about being Zen at home. Also it’s about walking in nature and feeling the leaves crunch under your shoes, spending time with good friends and laughing over coffee and treats or sitting on a bench wrapped up warm and reading a good book instead of scrolling through Facebook. It’s about savoring the good stuff about each day and practicing mindfulness, living in the moment and taking care of you. It’s quite simple and that is refreshing in this day and age where we all have smart phones and constant notifications and various pressure on a daily basis. Instead of stalking old friends on Facebook and feeling bad when you see their in Bali yet again, why not pop on some cosy socks and boots and get yourself outside, smile and take in a big breath of fresh chilly air, it is guaranteed to make you feel better than being stuck to a screen. Louise Cooney who is a popular lifestyle blogger in Ireland thinks that hygge is a great idea, saying ‘‘I think it’s good to focus on the simple things and get back to basics every now and again, it’s good for mental health and physical health as well’’. Hygge is a way of life that helps you appreciate the little things and live with more simplicity, it also encourages you to unwind and like Louise said, this can only be good for us.